← Incredible Bright Light in Southern Sky Illuminating To Street Level. Description: A strange spotlight appeared in the sky suddenly. It was surrounded by a large half moon of multicolored gases. The object hovered for 40 seconds before it began to ascend. The light shining down morphed into 6 symmetrical lights shining all around it’s epicenter. Then it began to descend quickly and it’s 6 lights changed into 3 lights on the top only. It suddenly turned black and disappeared. 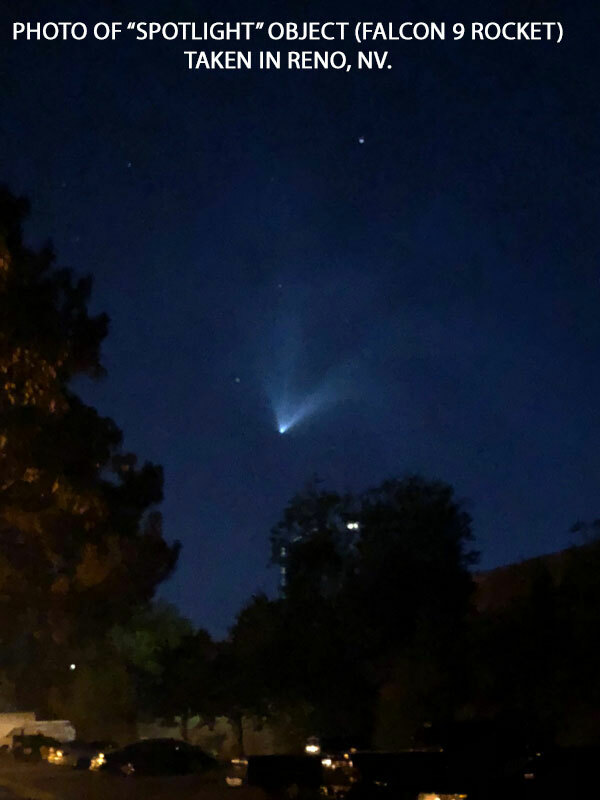 This entry was posted in bright light, Photos, Possible rocket, UFO Sightings 2018, UFO Sightings Nevada. Bookmark the permalink.